This Emerson 20A was first introduced in 1933 for $17.95 in a beautiful timeless styled Bakelite cabinet. 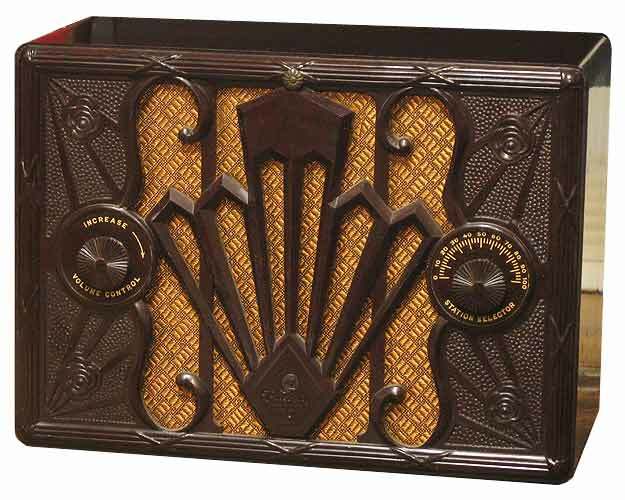 This is one great example of many attractive case styles and designs by Emerson in the early thirties during the peak of the Great Depression. The 20A shares the same chassis as the wooden cased 25A, which uses a 37 triode as a rectifier and a large filament voltage dropping resistor built in the chassis. 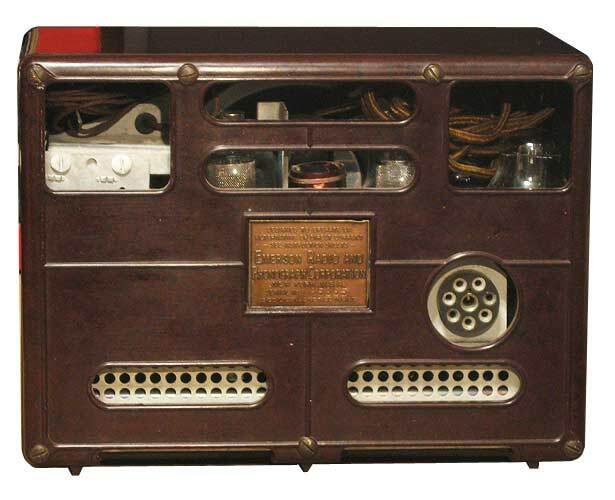 The later model 415 would use the same cabinet and use a resistance line cord instead of a resistor built-in the chassis. The 20A and 25A were designed with a multi-pin connector at the rear for various external power accessories to allow the radio to operate off batteries or alternative power sources.